Starfleet Academy The Edge review! A new beginning – but the same old problems. Jim Kirk arrives at Starfleet Academy ready to take on whatever challenges arise. Most new beginnings mean you get to start with a clean slate, but Kirk quickly discovers that he is already infamous among his classmates. Thanks to his bravado and boasting that he’ll finish the four-year program in three, they’ve already made up their minds about kind of rival he is … and how they will beat him. The Academy’s program is extremely rigorous and uncompromising. The students are the best and the brightest, and the school demands total commitment from them – physically and mentally. Kirk is ready for it all, but he didn’t expect that some cadets will do anything to ensure they succeed at the Academy, no matter the cost. He soon finds that his best friend, McCoy, is one of the main suspects in an Academy misconduct investigation for crimes that could cost the lives of his classmates. Kirk is determined to clear McCoy’s name and unmask the dark side of Academy life – before it’s too late. This is the second book in the Starfleet Academy book series that is intended for young adults. The first noticeble thing is that the writing style is significantly different. The author of the first book Rick Barba tried in my opnion a little too hard not alienating young readers away from the Star Trek Universe. Odd concepts for Star Trek such as money and street crime were really out of touch. The author of The Edge Rudy Josephs does not make this mistake and seems to have a good grasp of the Star Trek Universe without alienating newbies. In fact, this book is also enjoyable for more adult readers as Rudy goes lightly on the teen angst theme that usually occurs in these kinds of books. Both ‘The Edge’ and ‘The Delta Anomaly’ do have a rather dark subject matter, in this case its drug use combined with doping that leads to a fatality at the Academy, i believe writers should not avoid these subjects and the way Rudy Josephs has threaded it into the story gives young readers a thorough review of the risks involved on both a physical and personal basis. The author also uses ying-yang as a sort of leitmotif. This is also the way in which the book ends, its a good ending but the main characters all have lessons to learn. On the subject of the characters, it is a little odd that while Uhura interacts with both Spock and Kirk they on the other hand have yet to meet each other. At this moment I can spoiler that that will change by the third book ‘The gemini agent’. There are a number of new characters that have been introduced in ‘The Edge’ such Monica Lynne, the girlfriend of kirk who has her own secrets. and unlike ‘the Delta Anomaly’ they don’t seem as wooden. As for the negative side of this book. From certain passages it would seem that there was a subplot concerning doctor McCoy, its a shame that it has been deleted because despite the fact that the book is longer than the first one it is over all too quickly. One would think that Simon Spotlight (the publishers) would have caught on to Harry potter length novels. What is also irksome is that certain plot twist are easily anticipated and others are deliberately altered to negate the sense of prediction, that makes the plot just a little too contrived at moments. PS, the book was first called ‘The Competitive Edge’ but has since been abreviated to ‘The Edge. 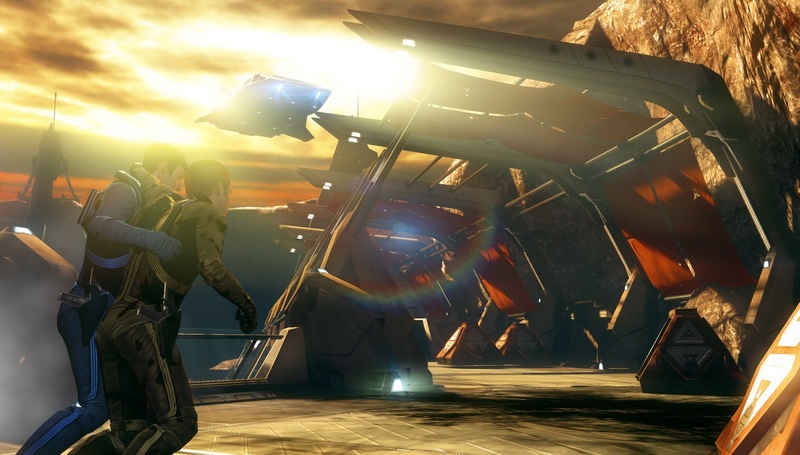 New Star Trek Game screenshots revealed! Star Trek: Typhon Pact: Brinkmanship Announced! 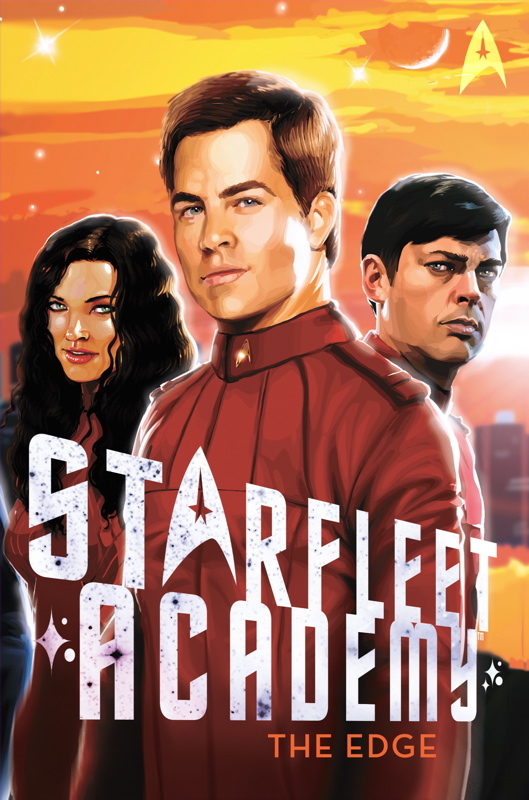 Starfleet Academy The Assassination Game Review! Next story Starfleet Academy The Gemini Agent review! Previous story Fringe season 4 episode 2 ‘One Night in October’ review!